The CEO of Remax, Margaret Kelly, said on CNBC in October of 2007 that it was a “Perfect Time to Buy”. Jim Cramer blew the trumpet call for housing bulls on CNBC in 2009 and a calvary of housing bulls rode up to join them in 2010 and 2011. They and a host of others led the charge on their media steeds, circling and galloping and waving their bullish flags. Hop on a horse, ride with the winners, charge ahead to victory! Wouldn’t we all love to see the housing bulls be right? Their accuracy would mean the housing implosion, and all the attendant troubles, would be a thing of the past. On to the future! Forward to victory! Leave the past behind! But, and this is crucial – failure to accurately assess the landscape – both the easily seen, and the yet to be seen beyond the hills; will get you killed. Remember General Custer at the Battle of Little Big Horn? The US calvary advance was victorious in the long term, but Custer’s assessment was wrong in the short term and we know how that turned out. You have to know the opposition and what forces you are up against. Calling the bottom in the housing market and continuing to artificially prop prices won’t be beneficial to us in the long run. Waiting until certain markers are met makes greater sense, and only then will we know the recovery has begun. So what are those markers? Transition Year: A true housing recovery cannot be trusted until we have seen one full year of stronger-than-expected home sale numbers, year over year. This transition year will take the housing market through seasonally affected rise and fall of numbers. Once we have seen consistent strength for this period of time, we can look to see if the other bullish markers are there. Economic Improvement: A housing recovery will also depend upon a strong economy, which includes stronger job growth (at least 200,000 – 275,000 jobs created month over month during the transition year). Long term interest rates will rise when the economy improves, and the rise in interest rates will mean higher mortgage payments.Once this happens, we will need to see how buyers react to that cost increase. This is important because in order to see a rise in home sales and prices, we need to see a sustainable rise in qualified buyers. A recent report showed that 25% of home owners pay more that 50% of their income on housing cost. Not only is this a bad long term trend for them – but this takes money away from them to put into retirement, pay debt down and have a stable saving account for that rainy day. Rise of Short Term Rates: The Fed has predicted short term rates won’t rise until 2014. Until this happens, legions of homeowners still holding adjustable loans that have already recasted, who currently can barely sustain their cost of housing, are the Indians over the hill we have yet to see. Once their mortgage payment rises, many of these homeowners will become part of the final wave of foreclosures which must be confronted and dealt with before we can declare the housing recovery is here. How has Housing Absorbed the Arrows? : Once all of the above has occurred, we can take a look at how the housing market has reacted. Has the supply and demand imbalance been corrected? Has the economy remained strong? Has government stopped propping up home prices by forcing mortgage rates lower? Have home sales numbers continued to remain strong while sustaining the final hit of foreclosures?If the answer is yes to all of the above, then we can see clear, beyond the plains , hills, and dales, to a forward charge in housing. A Final Caution: One word of warning is that if the US Government does not create a long term plan to tackle its fiscal debt problems, then we will see a spike in long term interest rates which would negatively affect housing.The super spike in rates would be a dramatic shock to the economy and especially in housing. Now that stated income is no longer available, any rise in interest rates will affect the puchasing power of home buyers. A financial calamity spike in rates will not only affect the economy but deliver a double whammy effect to the housing market. Inevitable market forces eventually unfold in time. 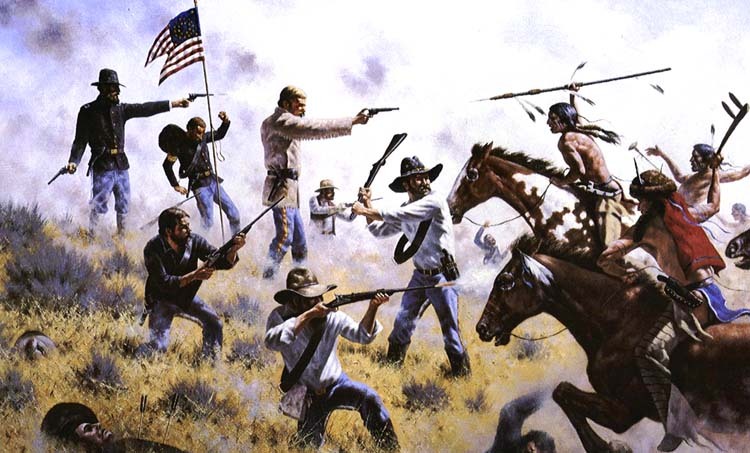 Calling “all clear” in the housing market without looking at the future landscape to see what might go wrong equates to General Custer’s arrogant folly at the Battle of the Little Big Horn. The housing market needs more time to work off the huge back log of distressed homes. We need to see how the housing market reacts to much higher rates in the long and short end of the market. We need to see a sustaintable recovery in the economy. So, regardless of what the spring selling season brings , we need to wait a bit longer to call the housing recovery. I know Jim Cramer, and numerous Real Estate Agents are bulls and don’t agree but they have been wrong for 4-6 years now. One day they will have their day in sun and they can brag about how right they were. But how many homeowners were led by the Bulls’ errant trumpets too early into battle?